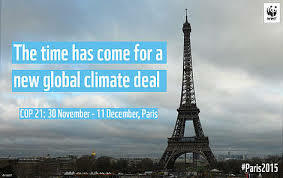 November 7, 2016—–There have been a number of events this year which have both indicated the growing awareness of the extent of climate change and also a willingness for nations to work together to solve the problems of climate change. Among them are two of particular importance. They are the actions taken to reduce carbon dioxide emissions and to reduce or eliminate the use of hydrofluorocarbons. In December of 2015, a conference was held in a suburb of Paris, France to discuss the effects of global warming and actions to take. Attending were more heads of state than had ever before attended a single conference in world history. The outcome was that nearly all of the countries presented plans to reduce greenhouse gases in the near future. But in order for this agreement to become a working document enough countries must sign up, sharing the responsibility to reduce greenhouse gas emissions an additional 55%. The goal is to keep global temperatures from rising 2ºC above pre-industrial levels. The goal is to keep the level below 1.5ºC. 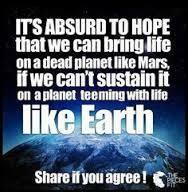 Enacting this agreement would be a huge step forward in slowing greenhouse gas emissions and global warming. The time table for implementing the agreement was the year 2020. In a surprising show of support for the agreement it took just 10 months for the requisite number of countries to sign on. This meant the participants wanted action now, not four years from now. So far more than 75 countries have signed on. If these countries meet their goals it will reduce carbon dioxide emissions more than the required 55% set out in the agreement. There is, as one might expect, some opposition to the Paris agreement. Donald Trump, the president elect of the United States has said that he would cancel the U.S. participation in the Paris Agreement. This is in spite of the fact that the U.S. is one of the two largest emitters of greenhouse gases. If the U.S. pulls out of the agreement it will be more difficult to reach the goals of the plan. The president of the Philippines has also indicated that he would not honor the agreement. Politics in Brazil may result in that country pulling out as well. 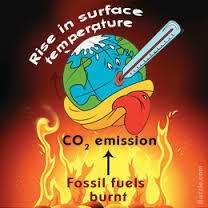 Only time will determine how dedicated the international community is in reducing greenhouse gases and global warming. In 1974, scientists warned there was evidence to suggest that compounds known as chlorofluorocarbons (CFCs) have a depleting effect on stratospheric ozone layers. They first came into use in refrigerators in the 1930s. Since World War II, they have been used as propellants in deodorants and hair sprays, in producing plastic foams, and in cleaning electronic parts. Chlorofluorocarbons rise into the upper atmosphere where they break apart and end up reducing the ozone concentration. The most disturbing reduction in atmospheric ozone is that found over the Antarctic Continent and is referred to as the ozone hole. The ozone hole over Antarctica has occurred in September and October since the late 1970s. Scientists around the world soon realized the amount of damage the chlorofluorocarbons were doing to the environment. The U.N. Environment Program called for a conference in Montreal, Canada, in September 1987, which drafted a treaty restricting the production of CFCs. The agreement is officially termed the Montreal protocol. International support for the treaty led to a substantial reduction in CFC production. Evidence now indicates that the average extent of the Antarctic ozone hole is declining. In the Antarctic spring of 2015 (September and October) the extent of the hole was only about ½ of what the previous maximum area had been. In an extremely important event with implications for global warming took place in Vienna, Austria in July of 2016. Most countries that took part in the Paris conference attended the meeting. The participants in this conference reached agreement to reduce the use of hydrofluorocarbons (HFCs), chemicals used as refrigerants in place of the Chlorofluorocarbons that resulted in the Antarctic ozone hole. HFCs are not a large percentage of greenhouse gases, but they are perhaps the most effective in terms of absorbing earth radiation. Use of these chemicals has grown rapidly in the last decade due to the increasing use of air conditioning and refrigeration. It was hoped that an agreement would be reached before a meeting in Kigali, Rwanda in October. The proposal would result in an amendment to the Montreal protocol that limited the use of CFCs. The main problem holding up the agreement was the date when the participating countries had to begin reducing the use of the HFCs. The Kigali conference was major success, 170 countries sent representatives that worked for four days to negotiate the amendment. The result was a document that would eliminate 90% of the current usage of HFCs. A compromise was reached on when countries would start the reduction. The reduction efforts would begin for some of the wealthier countries in 2019. More than 100 countries, including China, have a beginning date of 2024. A few others, including India, committed to a 2028 start. Making the change is more difficult in developing countries which are tied to older technology. The reductions are based on changing corporate usage and in new alternate chemicals becoming available. There are already alternate chemicals available and new ones in development. If the countries met their goals it would reduce the forthcoming temperature rise by a half degree Celsius. In order to halt global warming, all countries need to participate including the U.S. under the new administration! Categories: Climate Change, Pollution, Renewable Resources | Tags: #climatechange, #fossilfuels, #renewableenergy | Permalink.